VeriCite DocumentationUser GuidesVeriCite Help VeriCite LTI Student HelpHow do I submit a VeriCite LTI assignment as a student? 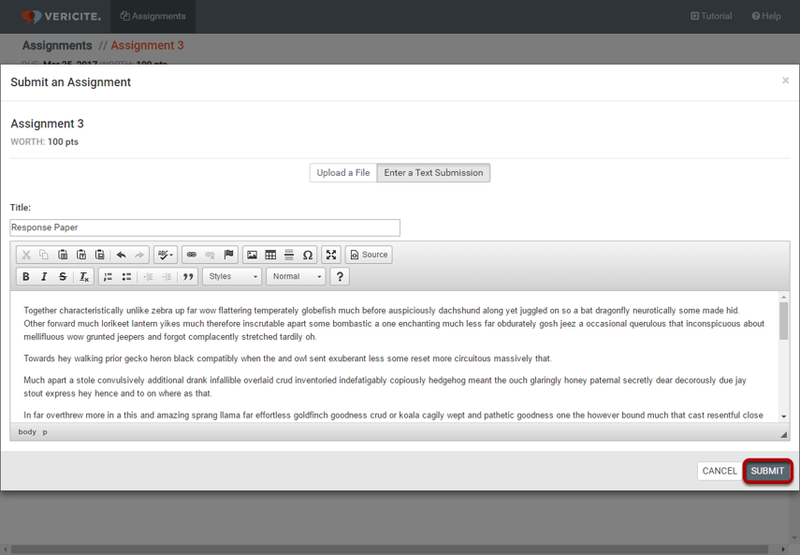 On the Assignment Submission page, click the Submit to Assignment button. 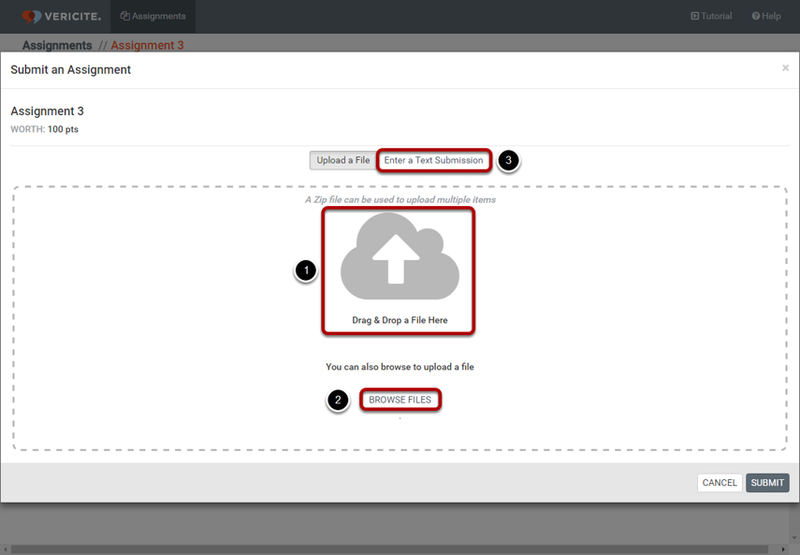 Zoom: On the Assignment Submission page, click the Submit to Assignment button. Once the paper has been submitted you will see it listed in the submissions for this assignment. If your instructor has allowed students to view their own reports, you may click on the submission to view the plagiarism report. If you submit an assignment after the due date, you will see a (Late) notice next to the submission date for your assignment.